Most cities around Christmas vie to be the most festive and spirited, but few European capitals are as dedicated to bringing the Winter Wonderland to life as Rome. Whether you arrive in the Eternal City by day or by night, you will be charmed by the crisp yet mild December weather, and the glory of Rome’s winter blue skies. Last minute Christmas shopping rushes, the nonchalant strolls of locals trying to differentiate themselves from the tourists, and of course the Christmas lights, add energy to the glow, as Nativity scenes and Christmas markets pop up all over the city. 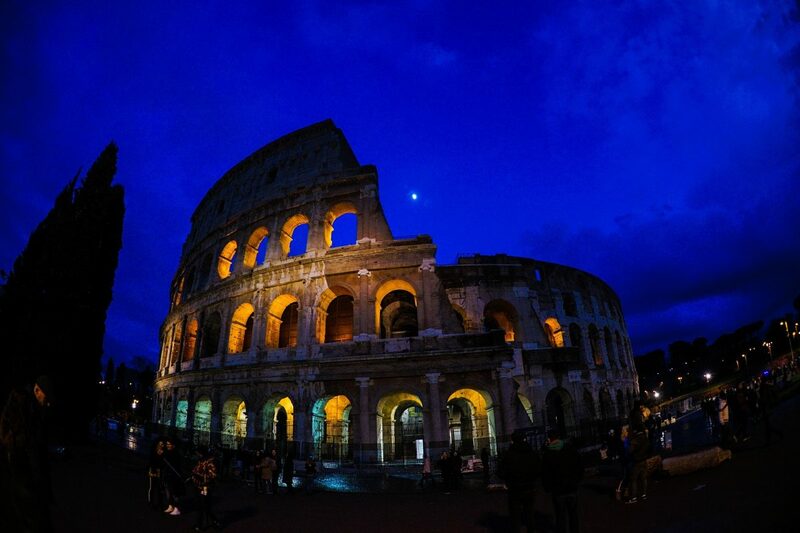 If you arrive by night, don’t miss a drive pass the majestic and romantic Colosseum; its recently renovated arches are particularly beautiful when lit by spotlights against the dark sapphire blue sky. The Christmas holiday season in Rome officially starts on December 8, the holiday of the Immaculate Conception, or Immacolata, and ends on January 6 at the Epiphany – when La Befana, a sort of Christmas witch is the lead character – and it is indeed magical: it is a great time to see the city in a -literally- different light and to discover the great Roman Christmas traditions. If you are by yourself, feel free to prep a special playlist for the occasion: Culture Trip has put together a wonderful list of songs inspired by the beauty of Rome, and there in one for every taste and every moment of the day (waking up to Rome Wasn’t Built in a Day by Morcheeba is the absolute guarantee of a good mood all day long)! Though it is holiday season, most shops of the city are usually open -with the exception of Christmas Eve, Christmas Day, the day after Christmas, and New Years’ Day- and most of the major sites and monuments that have entry tickets, including the Colosseum, Forum, and Borghese Gallery will all be open on the 26th, despite that day also being a holiday. We recommend planning your visits on the 26th, as the museums and churches will be much less crowded than usual. Whether it is your first time in Rome or you are a newbie in the city, start your day with a bit of Christmas sightseeing; and whether you are religious or not, you should look for the numerous Nativity scenes scattered around the city: they will surprise you by their artistry, beauty and inventiveness. The major one this year is held of course in Vatican City, but there are beautiful ones in every major and minor church of Rome, which counts more than 900 churches, cathedrals and basilicas. We recommend Santa Maria del Popolo, created and built by famous painter, sculptor and architect Gian Lorenzo Bernini in the 17th century, Santa Maria in Trastevere in the charming, bohème district which gave it its name, or the Pantheon, to couple historical beacons and Christmas sightseeing. In the mood for some Christmas shopping? There are a lot of beautiful, eccentric and charming Christmas markets all over town! All neighbourhoods offer something. 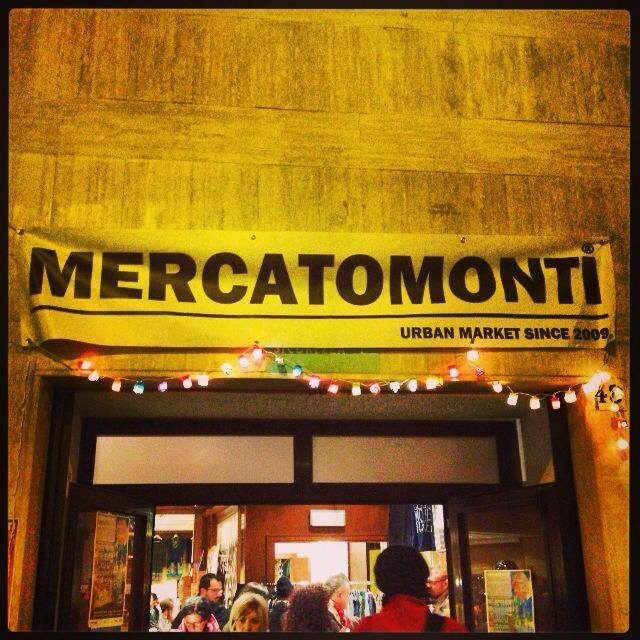 Vintage pieces and hipster vibes are what the district of Monti is about, and Mercato Monti is the perfect embodiment of its way of life. You may find there the ideal Christmas gifts: clothes, accessories and other artisanal pieces await! Good to know: in December the market doubles in size, promoting more than 50 local talents. Monti is really a charming neighbourhood, and we happen to have a great apartment there for you to live like Romans do: our Bella Vita is located near the Colosseum and is the ideal place to rent for a family of 4 or 2 couples. Previous guests describe it best: “The perfect Roman Holiday! 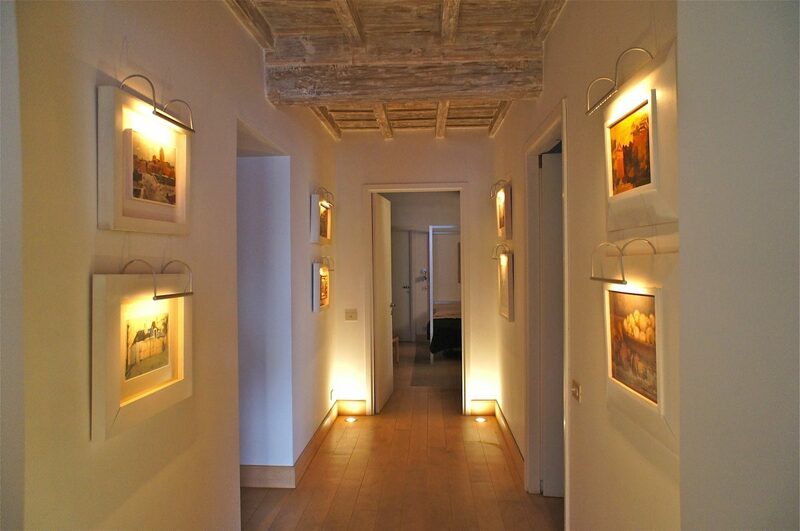 Both modern and historic- this was the perfect home base from which to explore Rome”. Other Christmas markets punctuates the city, find an exhaustive list right here. After all this wandering, you stomach might start to rumble; fear not! 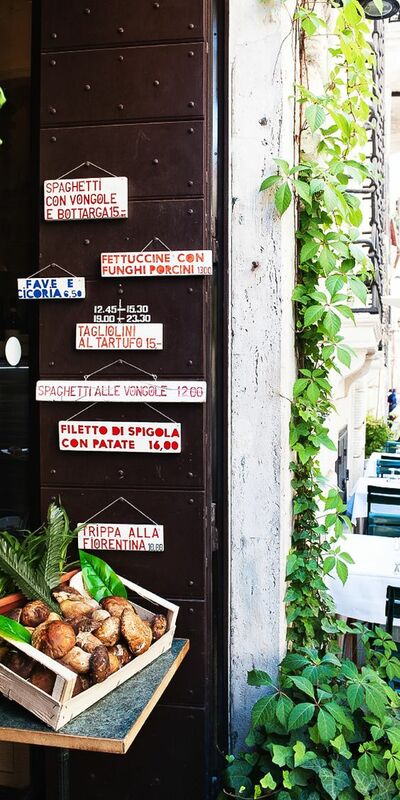 Rome is filled with charming and delicious trattorias and pizzerias, including two of our most favourites: Da Francesco and Fiammetta. Both are located just steps away from the Piazza Navona in the heart of the Historic Centre, and are dear to our hearts. Da Francesco, where the truffle pizza is close to heaven, is located on Piazza del Fico, right in front of Bar del Fico, one of the most popular bars in Rome. There you can sip your spritz or martini while peeping at fashionable locals and waiting for a table. 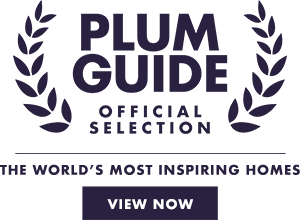 Don’t hesitate to visit their website, as they even provide true Italian recipes should you want to test your cooking abilities back home! Fiammetta is another true hidden gem: it is in a great location, just around the corner from Piazza Navona, but without the fuss of tourists. The menu is as varied as it is appetizing, with sitting options both inside and out. The pizzas are cooked in a wood-fire oven, as any good pizza should be. Go Italian all the way and try the white pizza with mozzarella covered in salty, peppery endive. Should you want to celebrate Christmas both at home and in Rome, just stay on Piazza Fiammetta and book our lovely 3-bedroom apartment! Fiammetta is so much better than a hotel: this spacious apartment sleeps up to 6 guests and is beautifully proportioned and elegantly furnished, in a modern yet timeless idiom, blending art and antiques with modern design. Original beamed ceilings and polished terracotta floors underline its historic origins and add warmth to the coolness of the white walls. Cherry on the cake: The kitchen is designed for chefs, so you will be able to try all these wonderful recipes by yourself! Commendable Rentals has a lovely, extensive collections of palazzi, houses and apartments to rent in Rome, find the perfect place for you and start enjoying your Roman Holidays!